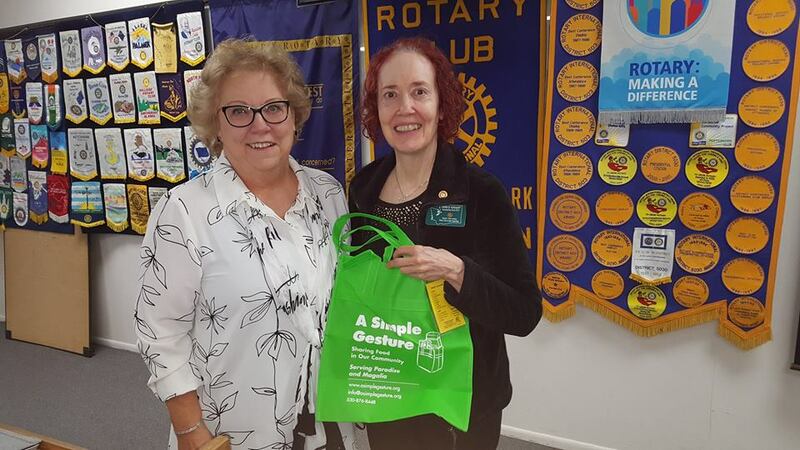 The Rotary Club of Lake Forest Park heard from Janiece Hoggatt at their May 16, 2018 meeting. Janiece introduced the club to A Simple Gesture. This new organization supplies green bags to a community of volunteers. In their weekly jaunt to the grocery store, people can pick up a few extra non-perishable items until the bags are filled, then give them to the food bank for distribution to those in need. A lot of hungry people can be helped by a simple gesture.